Could you be doing things that annoy your dog without you even realizing it? Dogs often tolerate human behavior because they are loyal and easygoing. However, there may be some things that you or others do that your dog secretly hates. You can probably think of a few things your dog hates because it's obvious. 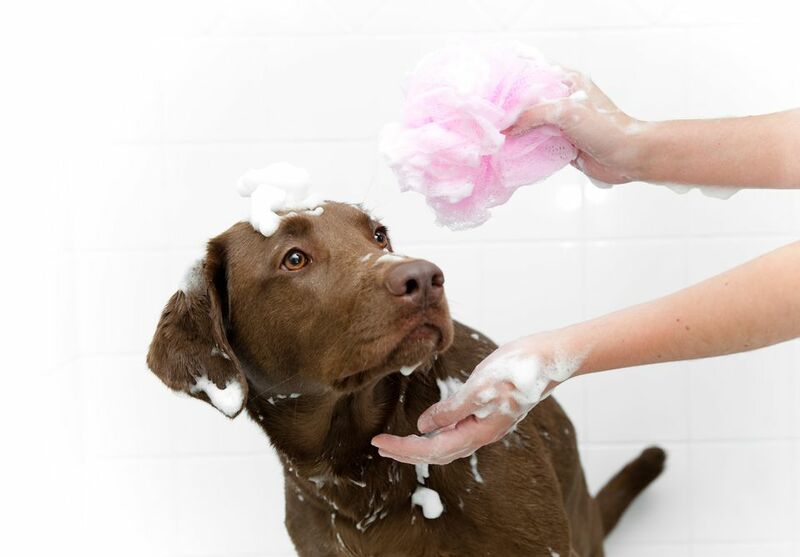 Perhaps your dog puts on the brakes when you try to give him a bath. Maybe he shies away from hugs or certain types of handling. He may even get visibly upset or depressed when he doesn't get his way. Even the most laid-back dog will hate some of the things we humans do. Yes, certain things are unavoidable, like vet visits or grooming. However, there are other ways we can try to take it easy on our dogs. No two dogs are exactly the same, so what one dog hates another dog may enjoy. What does your dog hate? Is it on the list? Here are 10 things that often annoy dogs and how to avoid doing them. It's really cute to look at photos of people hugging dogs, but the reality is not so comfortable. Many dogs do not enjoy hugs, especially from strangers. Placing your arms around a dog's neck or body may be perceived as a threat. Most dogs tolerate gentle hugs from trusted humans, but that doesn't mean they actually like them. A better alternative is to let the dog cuddle on his own terms and pet him along the back and on the chest (especially if you don't know the dog well). Of course, some dogs do love to be hugged. It's important that you know your own dog and understand his limits. Pay attention to his body language to help you understand how he is feeling when you hug him. If he leans away, averts his eyes, yawns, licks his lips, has a worried look, or shows other appeasement gestures, he's probably uncomfortable. Much like hugging, dogs tend to dislike it when humans get in their faces. Think about how it would make you feel! Avoid putting your hands in a dog's face, towering over dogs, and rushing towards them. This is especially important if the dog does not know you well. As an owner, if you need to poke and prod your dog for his own good (like ear cleaning or tooth brushing) go slowly, be gentle, and reward your dog with treats and/or praise. If your dog exhibits appeasement gestures, shows signs of fear, or acts aggressive, back off! It's always best to be careful and prevent a dog bite. Dogs enjoy going on walks for more than just the exercise. Taking a walk outdoors gives your dog a chance to explore the world. Your dog explores the world primarily through scent, then with his other senses (whereas most humans explore the world first through sight). Rushing your dog through a walk without allowing him to stop and sniff (and mark) is unkind. If you think about it, it's like someone dragging you by the arm through your favorite shop without allowing you to stop and look at anything. If it happens all the time, that would be pretty frustrating, wouldn't it? So next time you walk your dog, give him plenty of time to explore his environment. Your dog may not seem like it, but he needs rules. If your dog is acting out, it's probably because you have not taught him the rules. Training is an important part of providing structure in your dog's life. A routine is important because your dog has an internal clock. Try to feed your dog at the same time each day. Establish an exercise routine too if possible. After a few days of structured rules and routine, you will probably notice that your dog is happier. Routines and rules make your dog's world more predictable and can actually boost his confidence. No one likes to be yelled at or harshly punished (such as being spanked). Dogs may not understand the words we are saying, but they sense your emotions when you do it. If you have a sensitive or fearful dog, you may find that yelling and harsh punishment actually upsets or scares your dog. Fear does not equal respect, and you will not strengthen your relationship with these methods. Even if your dog is aloof or ultra-happy, you will probably find that yelling and harsh punishment don't help in the long run because your dog becomes desensitized (meaning he does what he wants anyway and you just keep repeating yourself). Positive reinforcement is generally the most effective type of training. To correct unwanted behavior, you can try redirecting your dog towards a preferred behavior instead of yelling or smacking him. Train your dog to "drop it" or "leave it" are great ways to stop your dog from eating or chewing something he shouldn't. You can teach him "come" or "watch me" to get his attention when he is doing something wrong. Be sure to reward him when he complies. Dogs are more likely to listen to you when you issue a request rather than a non-specific "no" or "stop it." Unless you got your dog used to wearing clothing gradually (or as a puppy) there's a good chance your dog hates being dressed up. Many dogs will tolerate outfits or costumes, but most don't enjoy them. Get to you know your dog before you force him into a bunny costume! Some dogs are fine with simple clothing items like shirts, but loathe wearing things on their heads or feet. How important is it that you dress up your dog anyway? If your dog needs protection from the cold, start with small, lightweight items and associate them with treats or other rewards. Work your way up to sweaters, jackets, and booties. Watch your dog's body language to determine when he has had enough. In case you didn't already know it, your dog's sense of smell is about 10,000 to 100,000 times more sensitive than yours. In general, dogs enjoy taking in all types of scents and odors. However, strong fragrances and chemicals can bother dogs and even irritate their noses. As a rule, it's best to avoid directly spraying your dog with anything. If your dog needs a medical spray applied, avoid his face (better yet, spray the medication on a cloth and apply it to him that way). When you use your own products (perfume, hairspray, air fresheners, cleaners, etc.) do so away from your dog and make sure the product is not toxic. Dogs are social creatures who generally hate being left alone. Some dogs are comforted by the presence of another dog, but others only want human companionship. In extreme cases, some dogs actually fear being left alone and experience separation anxiety. The problem is that most dog owners have to work in order to pay for all that gourmet dog food. You also need to have a life, run errands, take vacations, etc. Of course, your dog doesn't understand all that. So, what's the solution? Spend as much time as possible with your dog when you are home. Take the time to bond with your dog. Set a daily routine, providing plenty of exercise and mental stimulation. If you travel frequently, find a trusted pet sitter with whom your dog is comfortable. If you travel constantly, consider whether or not it's fair to even have a dog (or any pet for that matter). Most of us have experienced it: your dog "puts on the brakes" and refuses to go somewhere or do something. Maybe it's the bathtub. Often it's the veterinarian. Sometimes it's the car or even a certain street. It might even be a certain person or animal your dog wants to avoid. Most of the time, your dog is refusing because he has a fear or phobia. When you force your dog into a scary situation, you are keeping him in a state of stress. It's actually a technique called flooding that does not always work (and can cause more harm than good). A better method is to ease your dog into the situation. Keep him at a safe distance and reward him for staying calm. Gradually increase the dog's exposure to the "trigger" and reward for non-reaction. If it's the vet he fears, you can take steps to get your dog to love the vet. If the phobia is serious, you may need to get help from a trainer or behaviorist. Life has its ups and downs. You can't expect to be happy all the time. However, your dog can sense your emotions because of the close bond you share. If you are going through a period of depression, stress, or grief, it is bound to affect your dog. Some dogs will match your emotions, becoming sad or even sick. Others will get bored or frustrated and "act out" because they are not getting enough attention/exercise/stimulation. Do your best to keep with some sort of routine and spend time with your dog. Dogs can offer wonderful emotion support. There's a reason dogs are so great in animal assisted therapy! Go for a walk with your dog and you might even find yourself feeling better.